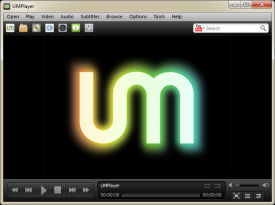 "Play any video format with UMPlayer with its more than 270 included codecs." 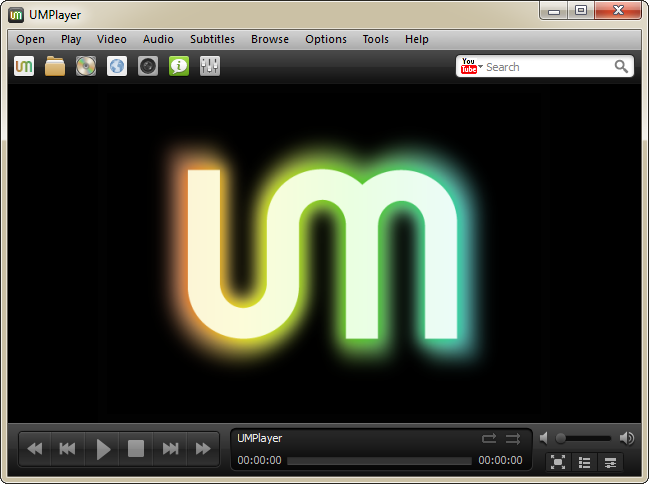 UMPlayer is a multimedia player which has a large amount of video and audio codecs included with the software that simply cannot be met by other media players. This mean you can play just about any video of any format with UMPlayer without having to worry about compatibility issues. The software, with all of the codecs provided simply by installing it, can play MP3, MP4, MOV, AAC, AC3, Vorbis, WMA, WMV, XVID, DIVX, MPEG, RealMedia, OGG, H.264, Matroska (mkv), ASF, AVI, DIVX, FLV, and more! This means UMPlayer can easily become your all around, do everything, multimedia player for all of the content on your computer. The application even allows you to play damaged files, while also having the ability to play YouTube videos and any web streaming content available on the Internet that can be ripped. If you ripped this content from the websites that provide them you will be able to play them without conversion using UMPlayer. Not only that, but UMPlayer can even play any video from a CD, DVD, or Blu-Ray! UMPlayer also allows you to find subtitles for the videos that you are watching, and allows you to search YouTube for content that you may want to watch through the player that you currently do not have on your computer. That is a lot of features in a simple, free multimedia player. This simply cannot be met by any other media player to my knowledge, which is a big reason why you should definitely give UMPlayer a try. With the compatibility of this software, you will not longer have to worry about codec errors and simply watch and/or listen the content you enjoy.